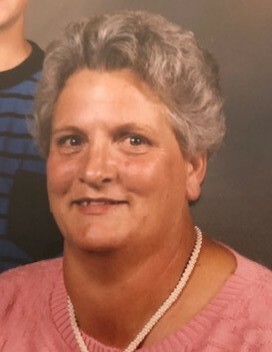 Kathryn Labrum Murray left her earthly home and went into the heavenly arms of numerous loved ones on Sunday, January 13, 2019. She was born December 4, 1938, in Vernal, Utah, the first daughter and third child of Harden (Hud) and Gladys Rasmussen Labrum. son of Arlie and Myrtle Murray, on October 23, 1957.
maker ever. There was nothing better than getting off the bus and coming into a house permeated with the smells of fresh baked bread. planned. At some point she became a keeper of peacocks. Many enjoyed driving by her home just to gaze at the beautiful birds. member of the Church of Jesus Christ of Latter Day Saints, she held various calliings within the church. She had a strong faith in God and talked with him daily. This helped her carry on after the deaths of son, husband, mother and siblings. is preceded in death by her husband, son (Jake), mother and father. Infant brother, Thomas Fred, Brothers: Val D., Louis (Short) and John. Sister: Elinor (Billy). is survived by her children: Brad (Charlie), Dana, and Derk. Eight grandchildren, 21 great grandchildren and one on the way.